We were delighted to be invited by fashion journalist Olivia Pinnock to join the Fashion Debates panel last week, along with Emma Priestland from Friends of The Earth, plastics waste expert, who observed that ‘clothing is a significant contributor to plastic pollution and one that is overlooked’ and Charney Magri, co-founder of Fashion 4 Change, who showed her catwalk to creation film, highlighting the sustainability agenda, making it aspirational and promoting the Sustainable Development goals agenda. In the atmospheric surroundings of the creative and socially conscious House of St Barnabus’ chapel in Soho, the full house numbered a passionate and well informed audience, who were interrogative in their questions around the specifics of materials and keen to learn and debunk myths about what constitutes ‘eco friendly’. The pull and push of the fast fashion system, and our contemporary over reliance on materials made from oil underscored the problem. The call to reduce our plastic usage has been loud and urgent. While fashion has been called out for its excessive use of synthetic fabrics which are shedding microplastics in all of our water supplies, is recycled plastic, touted as one of the coolest new materials around, the solution? 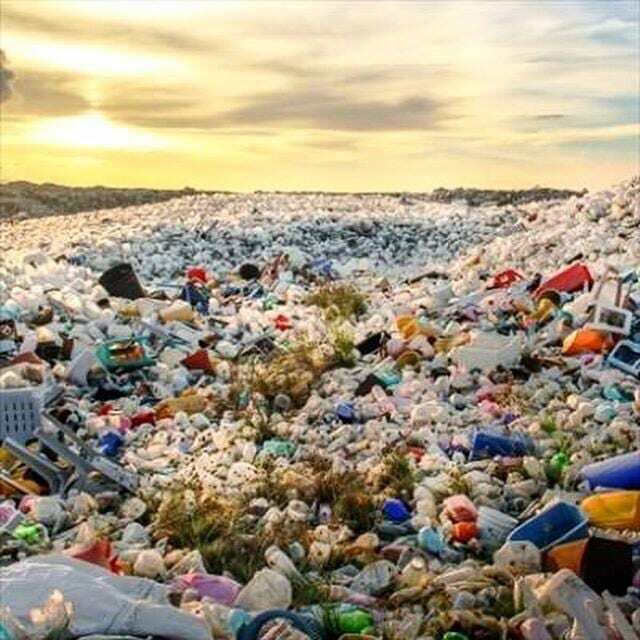 The debate tackled the question ‘What role does fashion play in the war on plastic?’ discussing the part that the fashion industry plays in contributing to plastic pollution, and how can we as consumers play a part in reducing it.